Dear home owner, I assume you’ve landed on this page because you are thinking about doing some home remodeling and you live within 25 miles of Indian HIls in great Colorado state. In that case be welcome on these pages and we would be glad to help you with any upcoming remodeling project you might have. If you live farther than that, please feel free to explore these pages as there is a lot useful information for homeowners thinking about home remodeling. 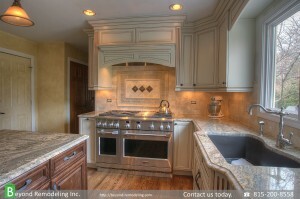 Beyond Remodeling Inc has been helping our customer over 16 years with various remodeling projects. We are located in Indian Hills, Co and we usually travel within 25 mile from there but it’s not strict rule and we go beyond that when needed. Home remodeling is really broad term that covers a lot of possible projects. We can’t cover them all here but we would like to take the opportunity to talk about some of them. We will be adding more information as time allows. Contact us if you have home improvement topic that you would like us to cover on this website and we will do best to make it happen. Here are some of possible remodeling projects that you might encounter in your home. You can click on each type of project to get detailed information that will come handy during remodeling. Finished kitchen with custom build kitchen hood. As you can see on these pictures change can be pretty dramatic in good way. All that said we need to understand that a lot of planning and work that should go into project to make it success. Kitchen remodeling is complex and one thing missed can hold up entire project create much more work that might not be necessary. Keep that in mind when you talk to contractor. Make sure to read up on each remodeling section above to get as much information as you need. Do not hesitate to contact us with any question you might have. You can call or text us at 1-815-200-8558 and for Charles.